We use sterile, individually-sealed, disposable needle cartridges for optimal safety and comfort. Every Dermapen needle tip is actually made up of 12 smaller needles, which use proprietary technology to penetrate vertically into the skin. 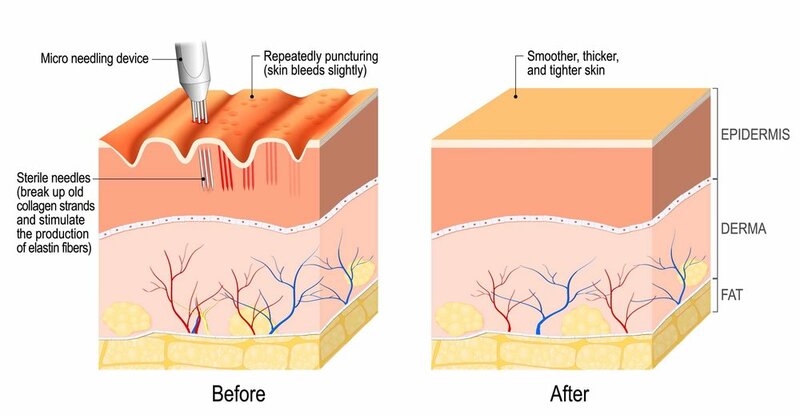 This creates small, micro-skin channels, while stimulating the skin’s natural ability to heal itself and increasing the production of new collagen — which is the formation of strong, insoluble fibers that serve as connective tissue between cells. Come and visit us at Embrow Beauty!